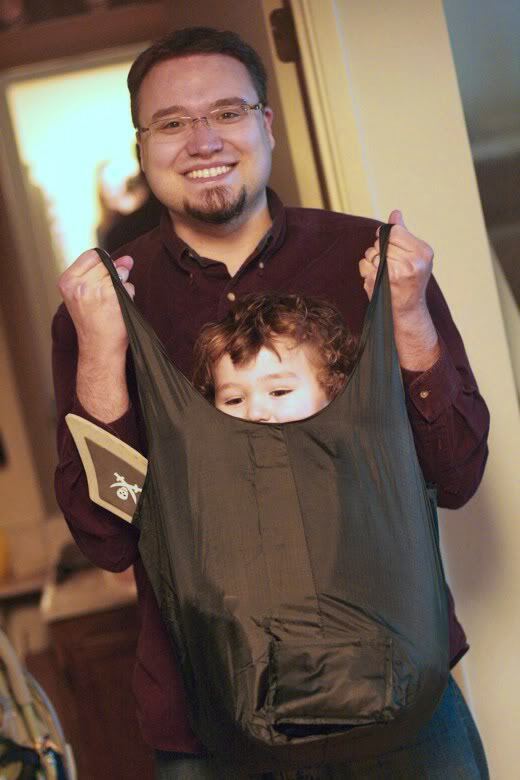 Reusable bags are so versatile. A couple years ago, the city of Seattle voted to ban plastic shopping bags. Despite being proponents of the concept of encouraging reusable bags, Sam's and my first reaction was "Oh, noes! What will we do without our plastic bags?!" If you're looking to make the switch from plastic to reusable at grocery stores and the like and need some pointers, this post's for you. This is how we've made the new lifestyle work with minimal fuss and bother. 1. Have plenty of reusable bags. This is a no-duh, right? But I'll tell you the easiest way to get them: thrift stores. Cheap and plentiful. You can also, of course, get them for free. Our phone book each year (don't even talk to me about why on earth phone books are still being delivered in 2014, and despite our opting out) comes in a reusable tote. We've been to festivals and carnivals with booths giving them out. There are ways. Check Freecycle as well. You want to have so many bags that you can afford for some to be inside, some to be in the car, some to be shoved into diaper bags, some to be randomly filled with toys by your kids, some to be in the laundry (yes, it's a good idea to clean them occasionally), and some to be lost into the void. And don't worry about using the "wrong" store's bag — no one has ever commented on our odd assortment. 2. Keep a bag handy in your other bags. We bought some bags that fold up into themselves into tiny pockets. I will never get them back into that tiny pocket. That said, the nylon types are very squishable, so I can keep one even in my purse without any trouble, and the diaper bag's a for-sure. When you run into a store you weren't expecting to, especially if you're walking or taking public transportation, you can just whip out your failsafe bag and keep on carrying. I don't get scared about overstuffing. I overstuff away. That way, you don't need as many. Obviously, this might vary for you according to the strength of your bags and your ability to carry heavy things — let a cart help you if possible. But I've been pleasantly surprised at how much more reusable bags carry without ripping as opposed to plastic and paper. If you're driving to the grocery store but forget your bags in the car? (Anyone? Just me? Didn't think so.) You can still refuse purchasing bags at checkout by just putting everything back in the cart. I admit, it's a little embarrassing if someone's helping you, which is why I prefer to use the self-check for this option. Seattle stores allow you to purchase paper bags at 5 cents a pop, but I'd rather avoid paying for a bag unless there's no other option (e.g., I went to a store to get one small thing and accidentally bought ten large things and don't have an emergency bag as above but still have to walk two miles home). Anyway, if you started shopping before realizing you'd forgotten your bags in the car and you don't want to haul yourself and your kidlets back out to the parking lot, scan your groceries and then just pile them back on in, wheel the cart out to your car, and fill your bags in the trunk. Inefficient? Well, yeah. But that's on you for forgetting your bags. Remember the scenario I mentioned above, about buying ten large items and reluctantly paying for a paper bag? This almost never happens to us. Because Sam and I (and we're not above enlisting our children) will carry whatever we can in our arms to avoid buying a bag if we've forgotten ours and don't have a better option. I'm not saying this is a possibility for everyone, and I can think of many circumstances where you'd need to choose buying a bag or two over fierce frugality (e.g., holding a child, ability challenges, etc. ), but you might be surprised what you can juggle if there's incentive. I'm sure there have been multiple times you can sheepishly look back at where you bought one item at a store, like a stick of gum, and let them plastic bag it for you. Think pocket, purse, diaper bag, and good old-fashioned arms. 6. Figure out alternate options for your previous plastic-bag uses. One worry we had was how to stop reusing plastic bags in all the ways we did. We never just threw plastic bags away — we always reused and then recycled when they lost their usefulness. We used them to carry library books to the car, for instance — well, that's easy; just use a reusable canvas bag, which will be much less likely to split and spill your library books all over, anyway! We used them to isolate wet items, such as swimsuits and towels and wet diapers — we now have various sizes of wet bags, and we've also used a dedicated reusable nylon bag for non-gross wet items. We used plastic to scoop the cats' litter boxes into — we did stockpile some plastic so I could keep doing this, but I've lately also bought some biodegradable waste bags, the kind people use for dog poop scooping. The downside is you have to scoop more often to avoid overfilling the smaller size, but the cats appreciate that, anyway. For lining waste baskets, there are some green liners available, but I haven't found the best solution in terms of cost and eco-friendliness for those yet (suggestions welcome!). 7. Find the bags you like. To make using reusable bags painless, use the ones that make you happy. This might conflict with #1 and require you to spend money — it just sort of depends what variety you get for cheap or free. Sam prefers the kind that open up and have a plastic insert on the bottom for easy loading, and they make them in pleasing patterns. I usually prefer a bag with long enough straps that I can sling it over my shoulder, and I love the chic designs of Envirosax. The Baggu bags hold a ton and come in fun patterns and vivid colors. These little foldable roses would fit well tucked away and look cute inside or even clipped to the strap of a bag. If you routinely walk or ride distances with frozen foods, you might want to add insulated bags to your collection. If you want bags available for bulky items, the IKEA versions work well and have shoulder straps. 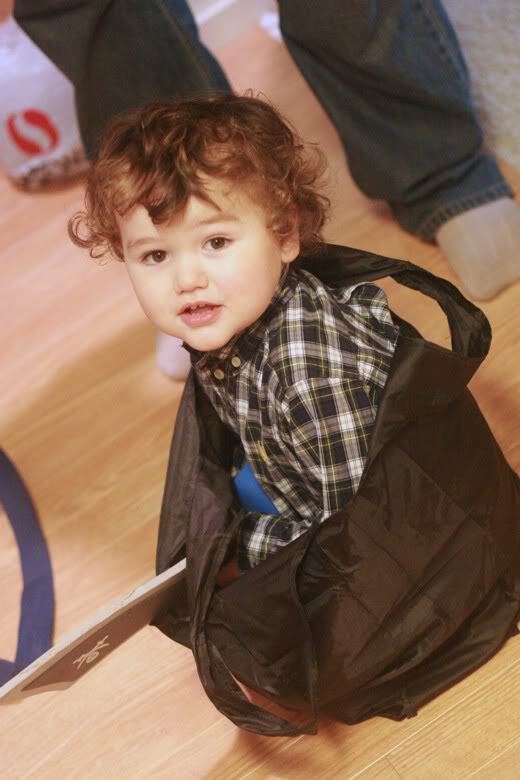 And don't overlook the idea of using a backpack for grocery shopping, particularly if you want to keep your hands free for holding hands with a tot (or you could babywear on the front). Backpacks distribute the weight and let you carry heavier loads more easily. Bonus tip: Keep your bags in sight! So you don't forget your bags to bring with you or to bring out of the car, here's what we do: When you've emptied your shopping, pack all the bags into one and hang it on the doorknob — next time you leave the house, you'll remember to grab the bags. Leave a few bags in the front seat of your car to swipe as you're heading out into the store. What are your best tips for successfully switching to reusable bags? What bags are your favorite? I love this post, I am trying to reduce the amount of plastic bags we use, and already have a number of cloth and string bags I tote about to use for shopping, carrying stuff to work etc, I have even sent shoes into school in cloth bags.